Slinky Neko dolls are now available at nDoll. The site offers both Haru and Borry. Haru and Borry can be ordered as either a boy or a girl doll. 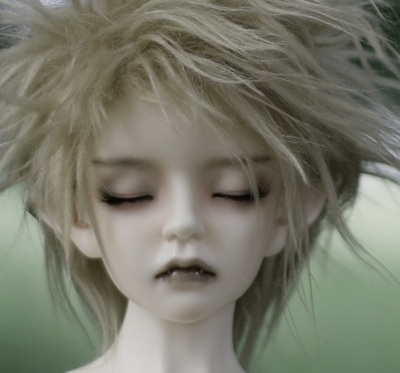 The 25 cm dolls come with a handmade random color mohair wig and random acrylic eyes. They are cast in normal skin resin. Face-up is optional. 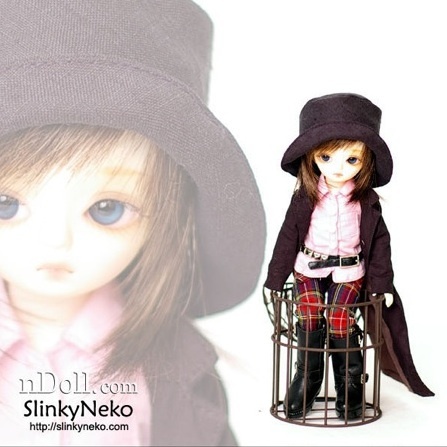 nDoll is also carrying several outfits from Slinky Neko. They are listed under Yo Sd size on the site. The head that recently appeared on the MsDoll website is now available for purchase on the nDoll website. The new head is called Devil Drayton. It is a variation on the Drayton sculpt with pointed ears and small fangs. The head available for sale comes in white and normal skin resin. Little Monica has limited the number of Crow dolls with the scarred cheek. According to the company, only 10 dolls will be sold with this face-up. After that, the dark head will not come with a scar. If the scar is specifically not wanted, that can be requested. The doll is available through the company and through the nDoll retail site. The Korean retailer nDoll now has two dolls from the recently opened Little Monica Company on their website. They are Cliff, and LM’s newest doll, Ashel. The dolls are each approximately 62 cm. high. Each of the dolls come with random eyes and a wig. Face-up is an additional cost. The English website of Little Monica was recently infected by a virus, but the problem is apparently resolved and there is no longer a warning on the site. MsDoll‘s Pan can now be ordered from The nDoll website. There are two versions of Pan on the site, an elf-eared and human-eared doll. The human eared version comes with cat and bunny ears along with extra hand parts. The Elf-eared version comes with extra hands only. There are two face-up options available at an extra cost. Pan can be ordered in normal or white skin. The dolls are currently discounted for an unknown period of time. Napidoll has released a new version of their Serios head, the Rose of Solitude version. The new Serios can be ordered in white or normal skin and is made for a 60 cm. body. He can be ordered from the nDoll website. 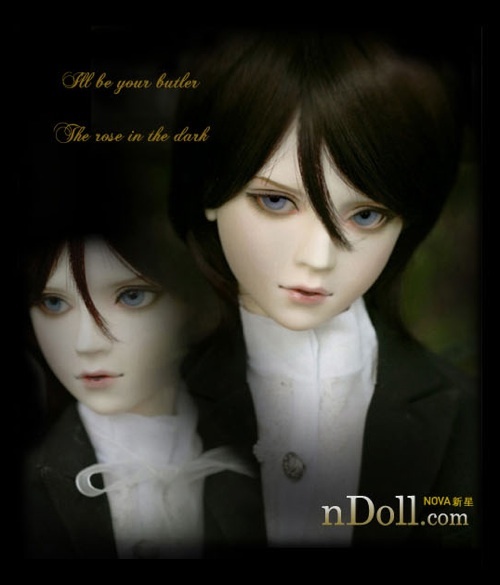 nDoll is featuring Castle Anne dolls at the top of their site. They are now offering the full line of basic junior (42 cm.) sized dolls. A new version of Napi Doll’s Chesi head has been released. The doll head can be seen on both the Napi Doll and nDoll websites. The head is called ‘Corset version Dreaming Chesi’. A new version of Serios, the Dark & White Version has been posted on both the Napi Doll and the nDoll sites. Serios is made to fit a 60 cm. body. nDoll will carry the new face-up versions of the Keith and Yeon doll heads until the end of October. The heads will be sold with fur wigs and the face-up is an option. 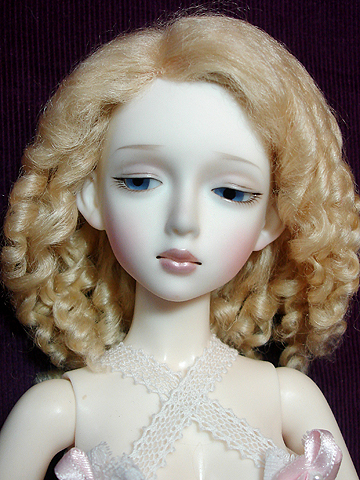 Buyers can choose between the Rose and Shining faceup for Keith, and between the Antique and Gothic faceup for Yeon.